One of the pivotal figures to emerge from the Indian parallel cinema of the 1970s, Girish Kasaravalli might well have ended up in a career in pharmacology. While training in Hyderabad, he came across an advertisement by the Film and Television Institute of India (FTII) and applied. His stint at FTII provided an inkling of the success he would see. 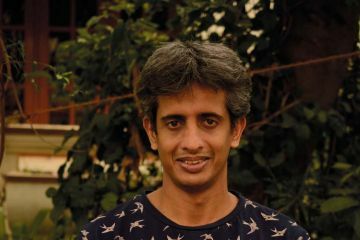 He graduated with a gold medal, and his student film Avashesh was awarded the National Film Award for the best short fiction film. And in 1977, his debut film Ghatashraddha won the National Film Award for best film. He has charted a unique path in the Kannada film industry. While adapting the works of Kannada writers like U. R. Ananthamurthy, Poornachandra Tejaswi, S. L. Bhyrappa, and Kasaravalli, his films have been known to deviate not only from the written works but also play with the form. Kasaravalli has directed 12 feature films and has 14 National Film Awards. Besides Ghatashraddha, he won the national award for best feature film for Tabarana Kathe (1987), Thaayi Saheba (1997), and Dweepa(2002). Here Kasaravalli opens up on his days at FTII, his films, his working style, and why it has become difficult to make movies despite his success. You had an unusual background at the time before you joined FTII—in pharmacology. How did films happen to you? Because I am from a village, I had no access to films. In fact, I’d not seen many movies before. I was exposed to some mythological movies made in Kannada and Telugu. My perception changed when one of my uncles, K. V. Subbanna (founder of the cultural organisation Ninasam), joined FTII for a film appreciation course. When he came back, we were all surprised. He gave me some books to read. That’s when I heard of Ray, Ghatak, etc. After school, I wanted to be a pharmacist. And at the time, I even contemplated a career in research, finding new medicines, etc. So I went to the College of Pharmacy in Manipal. While studying pharmacy, we never had free time. There was always pressure to go to the library, take notes. At the time, even Manipal had no theatres. We had to go to nearby Udupi, a town with two theatres. But I had access to a lot of information about film. There was this little magazine that came from Mumbai—I forget the title. A bookshop in Udupi used to receive three copies, of which I would buy one. It used to write about this new kind of cinema. I read about Pather Panchali (Satyajit Ray). I read about Bhuvan Shome (Mrinal Sen) and Uski Roti (Mani Kaul). I’d never seen these movies, but I read about them, and I certainly started thinking about them. It was also the time that there were lots of things happening in the Kannada cultural scene. The Navya (Modernist) movement in literature took off with writers like U. R. Anantha Murthy, (P) Lankesh, (Gopalakrishna) Adiga, (Yashwanth) Chittal, and Girish Karnad. B. V. Karanth came down from Delhi and brought a different kind of theatre. And this was the time that the film Samskara, based on Anantha Murthy’s novel, was released. It had created a sensation. I saw the film, and to be very frank, I didn’t like the film. Because I had never seen that kind of film, that kind of realism. That kind of de-dramatised performances. That was because we were all exposed to melodrama. Whatever little I’d seen from theatre and cinema was full of melodrama. This kind of understatement initially didn’t impress me. But then I began thinking about it, and people were writing about it, I made it a point to see it again and again. Good taste is acquired by conscious effort. After graduating, I went to the Indian Drugs and Pharmaceuticals Limited in Hyderabad. It was a government PSU, and I had two months of practical training there. In Hyderabad, I got an opportunity to see more of these films. I saw Uski Roti, I saw Bhuvan Shome. 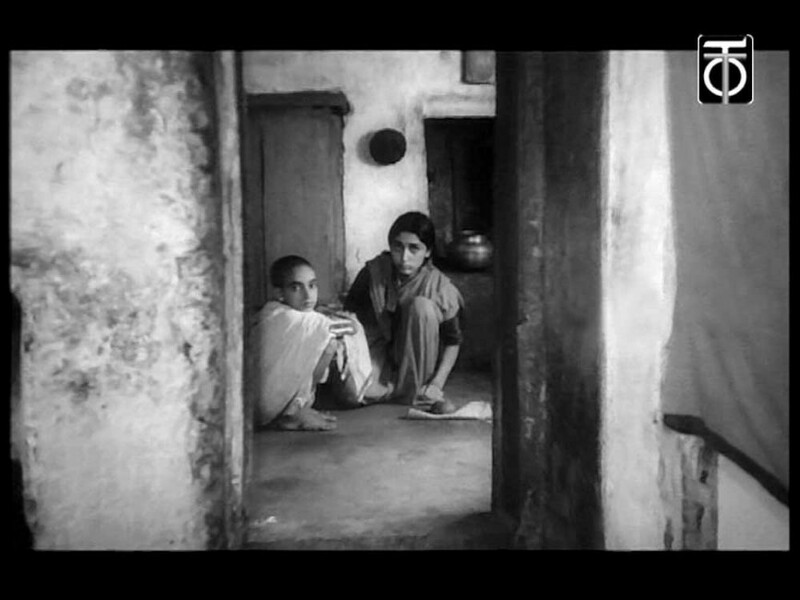 But the film that impressed me much more was Pratidwandi (Satyajit Ray). One fine day I saw a newspaper advertisement from FTII. So I applied and got called for an interview. I didn’t even expect it. I don’t know what made them choose me. Because I was with people who had worked in films, who were more knowledgeable about films. I don’t know what the selection committee saw in me. At that time was after you see the film nobody would go to their room. They would all sit outside the theatre and discuss everything. So we would have opinions, likes, and dislikes. But the interview veered towards questions on Kannada literature. That was the kind of knowledge that I had. Fortunately, the questions were in my favour. If he’d asked me anything about cinema, anything about international writers, or some Russian author, I wouldn’t have been able to answer. How did FTII change your perspective on movies? When I was admitted, I went there like a blank state. I didn’t have any fixed notion of cinema. It was after my graduation, so I must have been 21 or 22. Once I joined FTII, it was a fantastic thing. At that time at FTII, we used to see two films every day. One at 5:30 pm, showing classics and another at 9 pm showing fresh films. One good thing about film school is that they don’t let you get influenced by any one filmmaker. Impressed is one thing, and influenced is another. So they were asking you to justify a movie—one has to be very analytical. One professor analysed day in and day out the same scene 20 times or 30 times. We knew each shot, each movement, each camera placement, each angle. I remember one analysis in particular. It was an early Hollywood picture called Our Daily Bread. The professor would just pick up one scene where they show a dam being built at the top of the hill. So they dig a canal to get water. I have never seen the film, but this was the scene. And he would tell us in how many shots that action was captured. And how the tension was created. How did he maintain the continuities of space, time, etc.? Then we had movies like Rashomon, Pather Panchali, Bicycle Thief, Wild Strawberries—these were all texts for us. In Indian cinema, we studied Pather Panchali in great detail. Rashomon by Kurosawa in great detail. For some strange reason, we weren’t taught about the new wave. The good thing about FTII at that time was after you see the film nobody would go to their room. They would all sit outside the theatre and discuss everything. So we would have opinions, likes, and dislikes. Nobody was adamant about being right and wrong. You had to substantiate your argument. Because I’m from a science discipline, I didn’t know much about literary theory, cultural theory, philosophy. My three years were very useful. That way it was a memorable period of my life. How much did these discussions shape your filmmaking? In fact, while I was making a documentary on Adoor Gopalakrishnan, I wondered what my approach should be. And it suddenly occurred to me that in FTII, I was greatly influenced by these kinds of insights. How is a scene constructed? What are the elements that go into constructing a scene? How is the tension created? What is his philosophy that makes him use this idiom? For that, I must find out from Adoor. One of the things I like most is when filmmakers talk to each other. Even now I watch these on YouTube and other places. Filmmakers talking about their craft, the craft of other filmmakers, or what they like. Let’s take your debut film—Ghatashraddha. It won the national award for best film in 1977—just two years after you graduated. How did that come about? If I look back to when I made the film, I didn’t even realise that I had made an interesting film. It’s a short story by U. R. Ananthamurthy, which I had read before joining FTII. It had impressed me a lot. When I was asked to submit a script at FTII, I thought of this story. I went to the head of the department of scriptwriting and narrated the story to him. He told me to work on it. I told him that if I got the opportunity, I wanted to convert this into a film. After graduation, I worked with B. V. Karanth for two months, and it was a great experience. That was where I met S. Ramachandra, a cinematographer, who later shot many of my films. At the time, anybody who wanted to make a film would approach Ramachandra. He was the one cinematographer who would take the burden on himself. Since most of the filmmakers didn’t know how to make films, Ramachandra would do the backseat driving. At the time Sadananda Suvarna wanted to do a film. He wanted a good associate editor, and Ramachandra recommended my name. By then I had already written the script of Ghatashraddha. Suvarna approached me. I told him that I’d already worked on three films. I wanted to do something independently. He asked if he could take a look at the script. I gave it to him. The very next day he came to me. He said that the previous night he’d read the entire script in one stretch, and he had liked it. ‘Do you mind if I produce it?’ he asked. There was a sort of understanding. He would produce my film. And when he made a film, I should help him. But after making the film, Suvarna abandoned that project. Later, we continued working together on other projects. Ghatashraddha is, on the surface, a simple story about the friendship of a boy and a widow. But it is also about the status of women, the status of widows, and about a Brahmin community. Why did you want to do the story? One was that it is very strong in its concepts, in the sphere of ideas. But it also had a strong emotional core. I normally look for stories which work on both levels. I’m not interested in stories that merely work on a conceptual level and not on an emotional level, or vice-versa. And Ghatashraddha had both of that. Ghatashraddha is an ideal story for any filmmaker to launch his career. You next movie was Tabarana Kathe. It’s the story of Tabara, a retired government employee struggling to get his pension. And there’s a very intense scene—when Tabara’s wife has a sore foot due to gangrene, he goes to a butcher and asks him to amputate his wife’s leg. How did you work that scene when you shot it? Of all the scripts that I’ve written, the easiest ones were Ghatashraddha and Hasina. And the most difficult to write a script was Tabarana Kathe, because of its writing style. 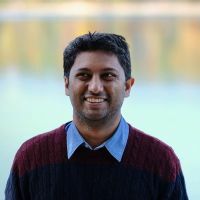 In that story, Tejaswi uses a technique where he narrates the entire story in the third person. ‘I heard’…‘Some people were talking like this….’, ‘So somebody has said that Tabara has gone mad’….‘Somebody said that’…etc. I never stick to the original. I read the story, and some images, some ideas, some concepts emerge out of that. And I start working on that. Once I write the script, I show it to the writer. I’ve written a script based on your story. But it’s not faithful. Nothing is said in the first person. I always wondered why it was through somebody. Why didn’t he just say that Tabara has gone mad? Why did he write like this? Then I realised that if he hadn’t written it like that, it would have become a very sentimental story. Because he maintains that distance. That it’s narrated by somebody else and he’s recapturing it, that makes the whole structure very plausible. You doubt what that person is saying, but you always take it at its face value. This kind of dual representation—it’s a very complex thing. So when you say Tabara goes mad, it’s very melodramatic. But the way that Tejaswi writes it—he doesn’t say that Tabara goes mad. He has heard from someone that Tabara goes mad. It brings two layers, two barriers—so you have to cross one barrier before you go to the next one. That’s why I made the whole film as though it is narrated by four different characters. And I also tried to de-dramatise the key scenes. So that it won’t become very melodramatic. To arrive at that, was a challenge. How long did it take for you to work on this script? What happens is that often somebody offers me a film, and I start working on it. And that person backs out. I don’t put it in cold storage. I keep working on it until somebody else comes to make it. It happened even with Tabarana Kathe. A producer said that he would make the film. I started working on it. And he lost interest. I didn’t want to shelve the project. So I continued working, but I didn’t find any producer. My father wanted to uplift Dalits. He constructed schools, houses, and wells for them. At the same time, he was also a person who would expect others to respect him because he’s a zamindar. He asked me for a script. I told him I don’t have the script ready. ‘Submit something else. I’ve heard that you’re already ready with a script,’ he said. So I just gave him a rough copy. He immediately said go ahead. ‘We have sanctioned everything.’ So the usual long process—scrutiny by committee, etc.—nothing like that happened. I submitted, and he sanctioned. That was the faith he had in me. And he gave me money later for Mane. All of your movies are adaptations of literary works. How do you approach that process? One thing is that I never stick to the original. I read the story, and some images, some ideas, some concepts emerge out of that. And I start working on that. I don’t even go back to the story to find out whether these elements are there or not. I work with whatever has stayed in the first reading. And once I write the script, I show it to the writer. I’ve written a script based on your story. But it’s not faithful. How have authors reacted usually? Fortunately, nobody took any objection to it. In fact, in Tabarana Kathe, I wanted some clarifications from Tejaswi. And he said that I have given you the right. ‘Don’t ask me.’ (Laughs)…‘Don’t bother me’… And Vaidehi was very happy with Gulabi Talkies. I changed a lot of things in it. The book is set in the 1930s, and I set it in the last decade of the 20th century. In the book, it’s a touring company that comes to the village. But I’ve changed it to a TV. I was much bothered by the question of representation in the visual medium. I wanted to question the very philosophy of representation. Only one writer took objection—much later in my career. He didn’t like my adaptation. That was the only time. When I finished the script and handed it to him, he said he had some objections. So I dropped it. Everything else was ready, the shooting was planned. He had some issues. I had killed one of the characters. I had my own argument as to why I killed the boy. He didn’t see it. I told him I respect your views. That you are the writer. And I dropped it. Do you prefer a short story over a novel or vice-versa? Well of the films I made, Thaayi Saheba, Dweepa, Naayi Neralu—are based on novels. Ghatashraddha, Tabarana Kathe, Gulabi Talkies and Kanasemba Kudureyaneri are based on short stories. It’s very easy to comprehend a short story and very difficult to comprehend a novel. I have to make a decision—what to leave out, which are the threads to weave in. Since I make my own interpretation of the story, it’s much easier with a short story. That’s why I say that my films are not an adaptation, but an adoption. In Thaayi Saheba too you deviated from the source material. There again the novel and film are quite different. There are not many similarities between the novel and the film. I was commissioned to make a documentary on the freedom movement in Karnataka, and I had done a lot of research. I’d also made a small four-part programme for Doordarshan in Bangalore on the first peasant movement in Karnataka. So I collected lots of books and information. When I decided to make this film, all of this came to my help. I constructed a new narrative during the freedom movement of the time. You also incorporated a lot of things that you saw while growing up. Including your father. There are references to my life. My father was in the freedom movement. He was also a zamindar. I always saw this kind of duality—at times he becomes a zamindar, at times he becomes a Gandhian. He wanted to uplift Dalits. He constructed schools, houses, and wells for them. He earned the ire of the villagers. At the same time, he was also a person who would expect others to respect him because he’s a zamindar. He wanted his words to be taken seriously because he’s a zamindar. Maybe, there were other factors. He was the only person who was educated in that village. He was the only person who knew what was happening beyond the boundaries of the village. But if you look at a conceptual level you see that he was a Gandhian, but he was a zamindar. He never believed in religion. He always practised whatever was in the village. He would take part in the village jathras. Whatever the community believes, he went with it. But I knew very well that he never believed in any of these things. So I thought I must use this to make a person’s character. In the movie, I also made him quite hostile to his wife and children. Sometimes, Gandhi himself had this duality. Fortunately, my father was not like that. He was very affectionate with us. But then when it comes to the performance of social responsibilities, I could see him, at one time, he behaved like a zamindar, and the next moment, he would be a Gandhian. Your movies have always had strong roles for women. For instance, the title character in Taayi Saheba. Was this a conscious decision? This is the practical reason. Actors like Jayamala Ramachandra, Tara, and Soundarya Raghu—these people came to me asking me to make a film keeping them as the lead character. Fortunately, I got stories which had a female protagonist. But there are films like Bannada Vesha, which had a strong male character. Tabarana Kathe, Koormavatara, and Kanasemba Kudureyaneri too. And Mane. Of the 14 films that I have made, about 8 are about women. This sounds very strange to me. If someone’s making films about women’s issues, they ask you. But if somebody is making a film only about men, nobody asks you. I tell these people that (Ingmar) Bergman has been making movies only about women’s issues. So people kept asking Bergman why he makes films only on women. But Kurosawa never made any films with strong women characters. Nobody ever asked him this question—why are you not making movies on women (laughs). So how do you decide which stories to film? Only in these three cases I had to look for stories in which these three actresses had to be accommodated. In other stories, I didn’t have such compulsions. I would just go by the content. When I read a story, I think if there is a need to retell the story. First, does it have any resonance in what is happening in the outside world today? Can the plot narrative in any way be a reflection of what’s happening in the world today? Second, whether it lends itself to my cinematic reading. Can I interpret the incidents cinematically? Does it lend to visual and aural interpretation? Third, is the drama strong enough? I can’t consider this without a strong dramatic narrative. Many times what happens is that when you are reading a story, subtle images begin getting crystallized in my mind. Are there any themes that you are naturally attracted to when you consider a story to be made into a movie? You see one of the themes which link all my films is how we isolate certain individuals. Whether in the name of development, in the name of religion, or in the name of order and discipline. One question I ask in all my films is that how ethical is it do this? How right are we in outcasting a person? How ethical are we in destroying the dreams of someone? So apart from the social issues, there’s a kind of alienation. Or othering, as we say. You are not part of us, you are the other. So this whole process of othering is very painful. It’s much worse than physical violence. I wonder how producers make their money because the market is shrinking. The last film I made was in 2011. Not that I don’t want to make films. But I’m wondering why this space has shrunk in Karnataka. That’s what happened in Gulabi Talkies. To everyone she was Gulnabi, she’s part of us. Then outsiders come and say she’s not Gulnabi—she’s Gulabi. She’s not from here. Then they start treating her and looking at her differently. So you are no longer a part of us. It’s othering. In Kanasemba Kudureyaneri, Irya had his own belief that if you see something in a dream, it will happen. So somebody’s trying to destroy that belief thinking that the destruction would make him stronger. But by destroying that, it ends up making him weaker. So we cannot impose our views on somebody else’s faith. We need to understand that—because faith also plays a part in our lives. In Thaayi Saheba, the son can’t go with the girl that he likes. In the legal system, she’s his sister. He can’t marry her. What is this legal system? Because biologically they’re not connected at all. We create laws to make our lives better. But these laws then make our lives even more difficult to live. You have 14 national awards. Does it get easier to make independent movies? In Karnataka, financing independent films have not become better. It’s become worse. Earlier it was easier to get financing because the cost of production was very low. And government subsidy was quite substantial. Now what has happened is that government support is the same. But the cost of production is way high. I wonder how producers make their money. It’s actually not my problem. But I’m ethically bound. I’m hesitant because the market is shrinking. The last film I made was in 2011. After that everybody’s asking me to make one more film. Not that I don’t want to make films. But I’m wondering why this space has shrunk in Karnataka. Why do you think that’s unique to Karnataka? I really don’t know. Because Karnataka is the only territory in India in which films from seven languages are released. I’m not talking about the offbeat films. The mainstream films—Telugu, Tamil, Hindi, English, etc. get space. All of them are treated equally. On the contrary, sometimes Telugu and Tamil films get a better deal than Kannada films. Marathi also faces a similar challenge in Mumbai. Yes, Marathi also faces a similar challenge. I shouldn’t be saying it, but Shiv Sena and Marathi astitva have played an important role. Of course, they’ve made some very good films. In fact, some of the films in Marathi these days are some of the best. What films have excited you recently? Court and Thithi are trying new forms of expression. My daughter’s film is also interesting. Some of the films made by the first-timers are much more challenging and much more interesting than from the established filmmakers. I want to do a film. Maybe next year. Some ideas are cooking in my mind. There are some writers who are not known so widely. That doesn’t mean they are unimportant writers. They are important. But for me, I am not enamoured because some novel is famous. I’m simply interested. It doesn’t matter if it’s popular or serious. Look at our major filmmakers. I want to see if the work lends itself to this medium. I have a few stories that I’m working on. Maybe next year. 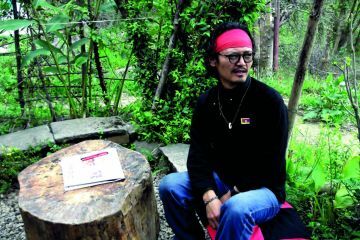 Tenzin Tsundue has a reputation as an activist campaigning for Tibet’s freedom, and poetry helps him articulate his feelings. 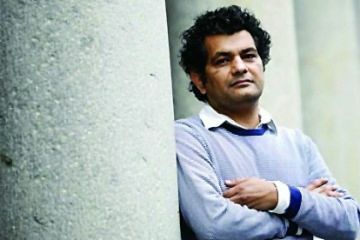 In the deluge of writing from the subcontinent, Mohammed Hanif’s work shines through. His characters are dark, cynical and irreverent.